Real Madrid consolidated their position at the top of the table in La Liga after beating Celta Vigo, who were undefeated before this game. Los Blancos are now the only unbeaten team in Spain, mainly thanks to Keylor Navas superb performance. Rafa Benitez men played brilliantly during the first 60 minutes, taking the lead with goals from Cristiano Ronaldo and Danilo. 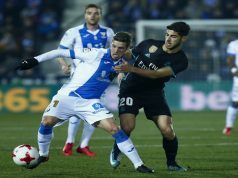 The hosts started playing better when they were down to ten men and Nolito shortened the lead, but Marcelo sealed the victory in the last minute. Real dominated from the start, playing the game beautifully, controlling possession in midfield and threatening Celta in the wings. Los Blancos took the lead after just eight minutes, when Vazquez sliced in a superb pass towards Ronaldo. Jonny failed to intercept it and the Portuguese sent a precise shot into the bottom corner to score his sixth goal in the competition. Marcelo and Danilo found plenty of empty space in the wings to join the attack and they became a major threat for Celta. Before the half-hour mark, Danilo took advantage of this situation and scored his first official goal for Los Blancos. Jese saw the Brazilian alone on the right side and passed him the ball. Danilo cooly placed it into the near corner. Right at the start of the second half, Vazquez had a big chance to seal the victory as he dribbled past a defender and found himself in front of the keeper, but he chipped straight into Sergio Alvarez’s hand. Yet, minutes later, things became much easier for Los Merengue as centre-back Gustavo Cabral was shown a second yellow card for dissent and Celta were down to ten men. Ronaldo could have scored his second as he broke free inside the box, but his low effort was denied by Sergio Alvarez. Isco and Ronaldo had chances to make it 3-0, but they missed them and Celta started to gain confidence. The hosts had several chances to score, but Navas was fantastic to deny all of them. Nolito was brilliant in the second half, leading his team to believe in a comeback. The winger came close to scoring as the dribbled past three defenders and beat Keylor Navas, but Marcelo was on the line to clear the ball. Yet, Nolito kept trying and he scored a spectacular goal with five minutes to go. The Spaniard sent a sensational strike from the edge of the box straight into the top corner. 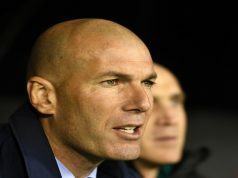 Los Blancos failed to control possession in the last minutes and Celta were close to savaging a point. However, in the last minute, Marcelo broke into the box and beat Sergio Alvarez with a low effort to seal the victory. We shall all recognize that at this point Keylor Navas has saved Rafa B. days in Real Madrid. 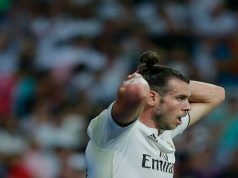 Yes, there has been some progress in Real Madrid ability to defend, but we must recognize that the games in which Los Blancos dropped points are simply by the coaching mistakes. The latest illustration is the game against Celta in which the 2nd half was a nightmare for the team while playing 11 vs 10. Really, Rafa is just lucky to do what he is doing.